What is Fetal Alcoholism Syndrome and Why Are the Consequences? 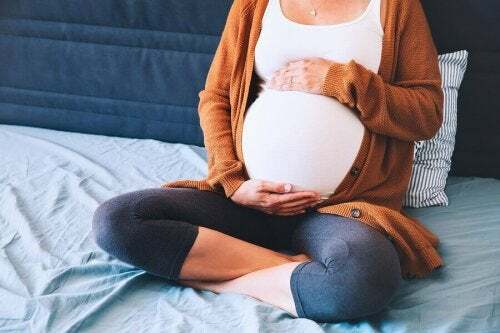 Home » Pregnancy » What Is Fetal Alcoholism Syndrome and What Are the Consequences? What Is Fetal Alcoholism Syndrome and What Are the Consequences? Excess alcohol consumption is harmful for anyone. 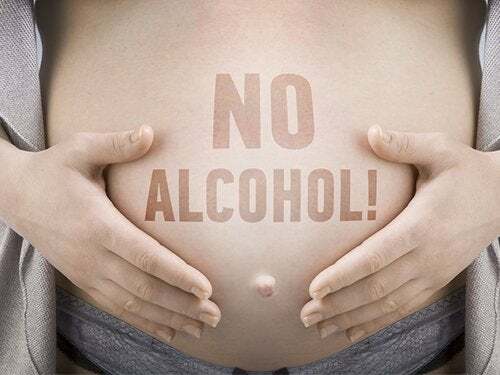 For pregnant women, even a little is discouraged to prevent fetal alcoholism syndrome. 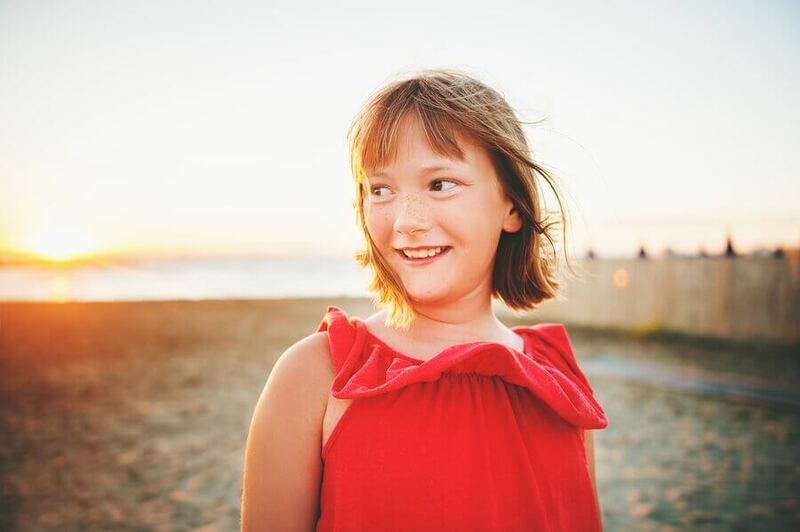 Fetal alcoholism syndrome (FAS) refers to the problems that babies could have during their first months of life, when the mother drinks alcohol during her pregnancy. Experts haven’t figured out how much alcohol causes problems. They do know, however, that it really affects babies’ health during gestation. This is known as fetal alcoholism syndrome. 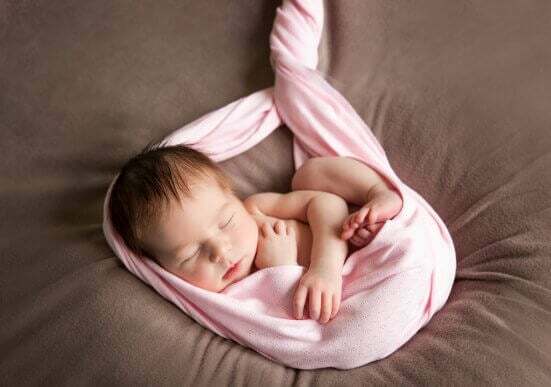 When a pregnant woman drinks alcoholic beverages, especially during the first trimester of pregnancy, these substances can easily reach the fetus through the placenta. Why is alcohol bad for your health? The negative consequences of an adult drinking alcohol aren’t new. Among others, it can cause a lot of damage. 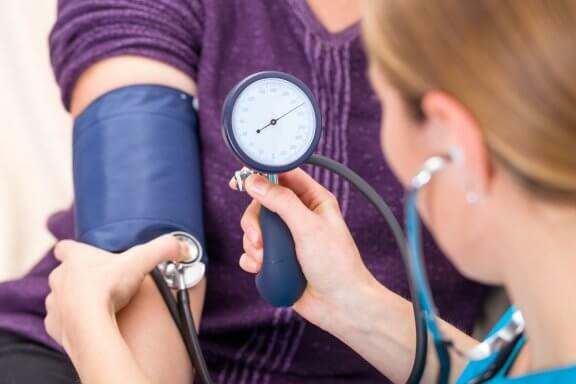 Some examples are changes in heart rate and problems with sugar levels. There can also be dehydration and digestive problems. 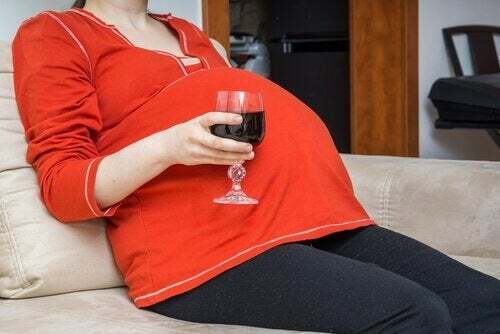 When women are pregnant, drinking alcohol can affect babies’ health for two reasons. First, because their body can’t process it. Second, because they can’t get rid of all its waste. In other words, they keep almost all of it. How is fetal alcoholism syndrome manifested? Low weight at birth and, even, malnutrition. Poor coordination (if detected long-term). Stunted growth (both before and after birth). Wide and low nasal bridge. Small eyes with epicanthic folds. Narrow palpebral fissures on the eyelids. Fetal alcoholism syndrome should be diagnosed by a health professional. For its detection, the doctor will observe the baby. That, along with asking the mom how she behaved during the pregnancy, will help him or her find the answer. The first thing the doctor will look at is the baby’s face. That seems to be the most telling sign of babies with this problem. If it shows some of the abnormalities talked about earlier, it could be fetal alcoholism syndrome. 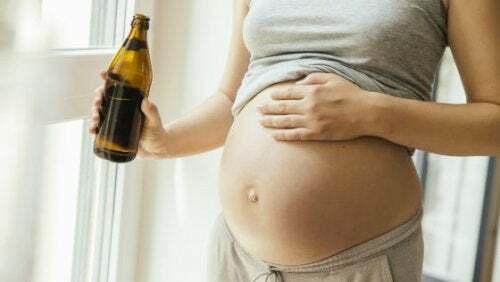 When a woman is pregnant, alcohol consumption can seriously affect the baby’s health because his or her body isn’t prepared to process that substance and also can’t get rid of all of its waste. Secondly, the doctor will evaluate the baby’s growth. Babies who suffer from fetal alcoholism syndrome usually show delays in their developmental milestones. They also have a hard time with their coordination. They can even have problems with their senses. This happens because FAS directly impacts the central nervous system. As a last resort, the doctor will order some more specific screenings to evaluate the CNS (central nervous system). The doctor will analyze its size and shape, its neurological functioning and the possible problems that there could be. As we mentioned earlier, experts don’t know exactly the highest amount of alcohol a pregnant woman can have. So it’s best to avoid it, especially in the first months of pregnancy. There are cases where the future mom has trouble giving up alcohol. In this case, it’s best to seek professional help as soon as possible. The support and control of family members is also important. In the same way, it’s also important that the dad refrains from drinking alcohol when trying to have a baby. This will support the mom, who can’t drink. What’s more, experts believe that how much the dad drinks can also affect the child’s future health. However, experts are still researching this. Finally, doctors around the world absolutely discourage the consumption of alcohol, regardless of how much people have. It’s important to always keep in mind that what could be a simple appetizer for a mom, could result in a very toxic substance for the fetus.